Laboratory testing contributes vital information about a patient's health. Correct diagnostic and therapeutic decisions rely on timely and accurate laboratory testing. 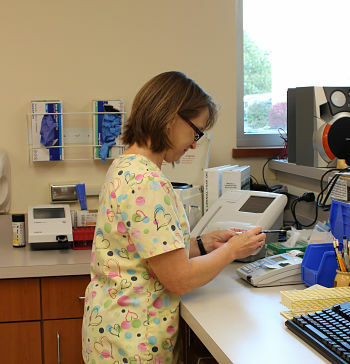 The Sabetha Community Hospital lab works closely with your physician to maintain the highest standard of diagnostic testing to assure the best patient care. Results are reported directly to your physician for fast, safe and reliable results. If you would like additional information about any of the services or departments which you have read about on this site please contact us.